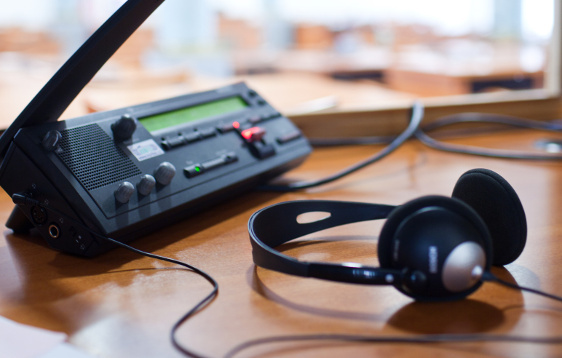 Lema Translators’ interpreters work in every continent and in numerous countries. We offer interpreting services in most languages and dialects, for any topic and in any context. We have 10 years of experience participating in meetings, press conferences, conferences, technical visits, notaries, court trials, formal events, etc. We have an extensive network of professionals on hand who have our full trust and that of our clients. They are all experts and have the necessary qualifications to guarantee an outstanding job. Tell us what you need and we will be happy to help. Call us on 91 541 28 14 or write to us at info@lematraductores.com. You can also ask us directly for a free, no obligation quote. It doesn’t matter if the language you need is unusual. We interpret for the most commonly spoken European languages, such as Spanish, English, French, German and Italian. However, we also have interpreters for Russian, Polish, Dutch, Swedish, Norwegian, Finnish, Danish, Hungarian, Albanian and Romanian. We also have experience in interpreting for Arabic, Turkish, Chinese and Japanese, amongst others. Our interpreters are highly prepared and experienced. Our interpreters work in every area and situation. We adapt to your needs and we work face-to-face as well as by telephone or videoconference in business meetings, official functions, and public or private events, court trials, etc. Furthermore, our interpreters are confident in different fields, such as administrative procedures, health, legal and economic affairs. We cover all kinds of standard interpreting. What mode do you need? We have been using them all for years, so you can rely on us. We offer consecutive, simultaneous and whispered (chuchotage) interpreting, as well as interpreting for media and administrative procedures. All with the added bonus of our interpreters’ savoir-faire. The interpreter is positioned next to the speaker and takes notes of their speech that they must translate orally. This type of interpreting is the most appropriate for smaller meetings with few languages. It is normally used for press conferences, formal events, speeches, dinners, brief statements, on-site visits, interviews, etc. Here, the interpreter listens to the speaker and instantly transmits the message to the listeners through headphones. This is recommended for congresses, seminars, conferences or meetings with one or more language(s) where fast and fluent communication is needed. The interpreter works in a booth with a partner who they take turns with approximately every 30 minutes. Also known as chuchotage. This type of interpreting is usually used in small meetings or negotiations. The interpreter is placed next to the speaker and interprets discretely, whispering in their ear. It is usually combined with consecutive interpreting. This is simultaneous or consecutive interpreting for the media, such as radio and television, as well as conference calls or videoconferences. This is usually for administrative procedures. In this case, the interpreter is also a sworn or certified interpreter. This is normally used in notaries, trials, hearings, courts, etc.